Star*Line [v18 #6/v19 #1, Nov. 95Feb. 96] ed. Marge Ballif Simon (SFPA, $3.00, 28pp, octavo, cover by Charles S. Fallis) Partial contents, issue not seen. 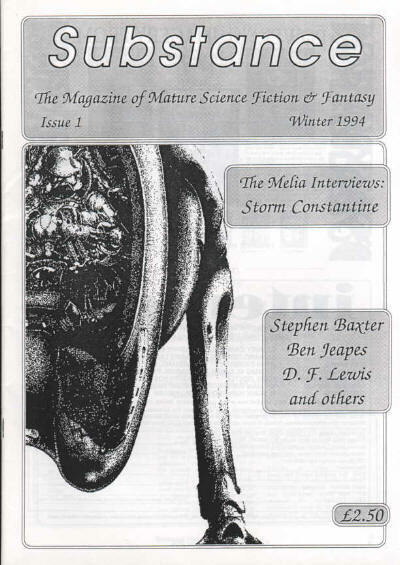 Substance [Issue 1, Winter 1994] ed. 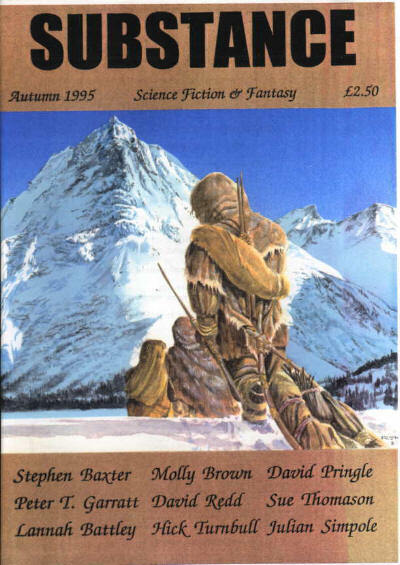 Paul Beardsley (Paul Beardsley, £2.50, 55pp, A4, cover by Rick Dawson) Small press sf/fantasy fiction magazine. Available from Neville Barnes, 65 Conbar Avenue, RUSTINGTON, W. Sussex, BN16 3LZ. 13 · Sacrifice · Jessica K. Szczepaniak-Gillece · pm; given as by Jessica K. Szczepaniak-Gileece in toc. 25 · Family · Timons Esaias · pm; given as by Esais Timons in toc.